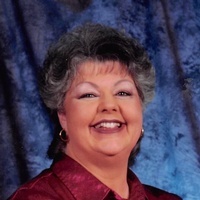 Cathy Morris, age 66, of Alpena, AR passed away on Sunday, March 17, 2019. She was born in Ypsilanti, MI on November 3, 1952, daughter of John and Mable (Snow) Jenkins. Cathy graduated from Alpena High School in 1970 and in 1983 she married Paul Morris. She was employed as a Telephone Operator for Allied Phone Company in Harrison until her retirement a few years ago. Cathy loved spending time with her family and especially enjoyed spoiling her grandchildren. She liked eating out and fishing. Cathy was a member of North Ark Church Of Christ in Alpena. She is survived by her husband Paul Morris of the home, son, Cale Morris and wife Brooksey of Alpena, daughter, Chalaina Morris of Alpena, 3 grandchildren, Michael Santos, Olivia Santos and Paisley Morris, brother, Larry Jenkins and one sister, Linda Fraley. She is preceded in death by her parents and younger brother, Robbie Jenkins. Viewing and visitation will be 5-7 PM, Thursday, March 21, 2019 at Smith Family Funeral Home in Green Forest. Private interment will follow on Friday at Alpena Cemetery.